“David Bowie’s passion for jazz has long been a matter of record. Now, thanks to his first collaboration with the Grammy award-winning Maria Schneider Orchestra, it’s on record as well. 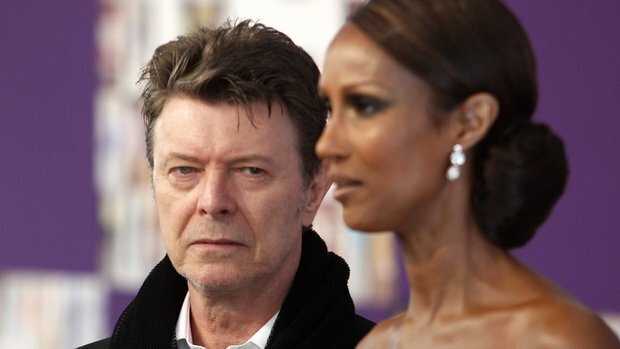 The result is the epic, 7-minute-plus “Sue (Or in a Season of Crime),” which was recorded this summer in New York and produced by longtime Bowie collaborator Tony Visconti.”Sue” quietly debuted online and on BBC Radio 6 last night and is apparently the only new song that will be featured on Bowie’s upcoming career-chronicing compilation, “Nothing Has Changed: The Very Best of Bowie,” which is due out Nov. 17. His freewheeling vocal pays homage to fellow singer and veteran music maverick Scott Walker. Bowie and Schneider co-wrote the song. It features a swirling arrangement by Schneider and solos by saxophonist Donny McCaslin and trombonist Ryan Kebrle”.